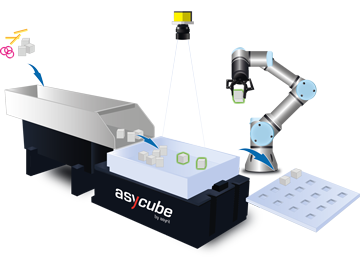 Every industrial collaborative or traditional robot requires a set of accessories to enable long-term efficient productivity. None of these robot accessories is more important than an appropriate gripper or end-effector. A robot's hand is also referred to as end-of-arm-tooling, or EOAT for short. The most exciting technological development in recent years has been the integration of machine vision with robots. Now, rather than relying on digital memory only, robots can see, and respond to a variable work area, making more appropriate and precise movements than ever before. In addition to gripping the part being moved, power and air must be delivered along the length of the robot's arm. The wiring and tubing used to deliver these utilities are subjected to continuous wear, being bent, rubbed, and moved thousands of times each production shift. HTE’s TECHTEAM will assist you with the selection of robot accessories ensuring the optimal balance between your productivity and ROI goals. HTE Technologies is your resource for any industrial robotic accessories needs if you are located in Kansas, Missouri or Illinois.